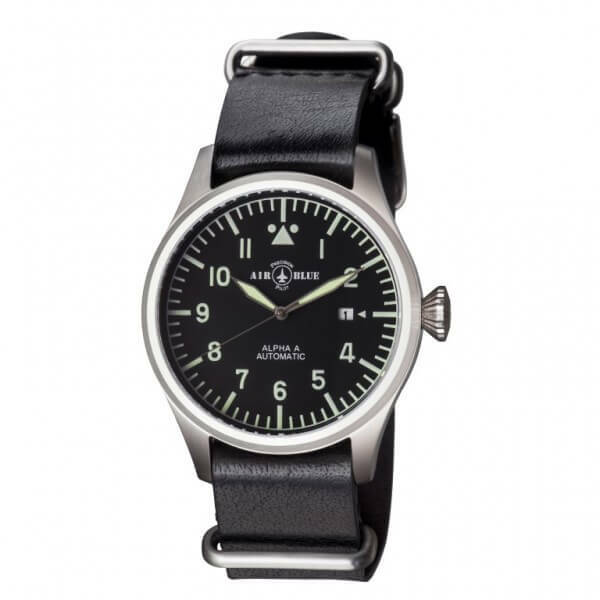 The Type A is the most familiar pilot’s watch type of all, based on one of the Luftwaffe B-Uhr specifications, with Arabic numerals, black dial, and indications coated with SuperLuminova. Its simplicity makes it easily recognizable. Most of the high-end watch brands avoid making these pilot’s watches because their iconic design makes it impossible to express brand identity. 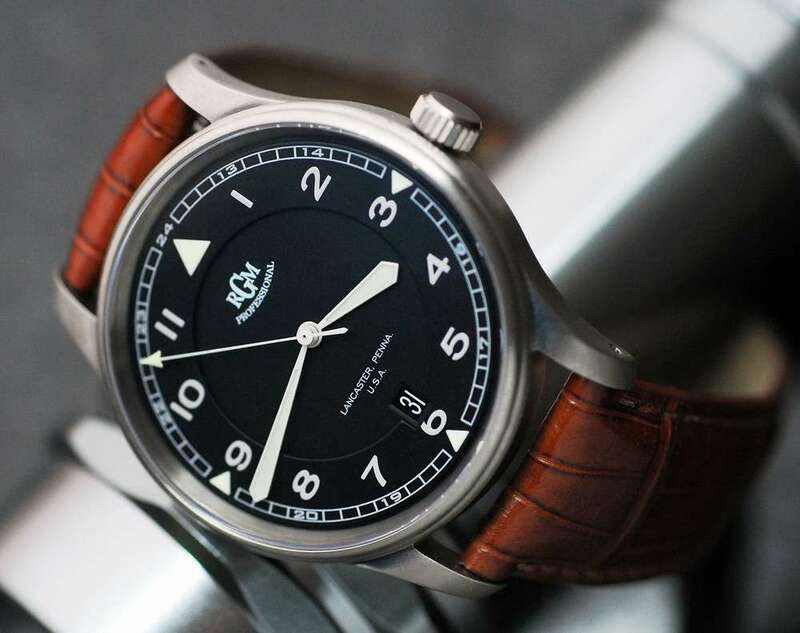 Luckily for pilot’s watch enthusiasts, there are many brands specializing in pilot’s watches, with prices that are often the most accessible of all genres. This selection of 18 watches is in ascending price order. 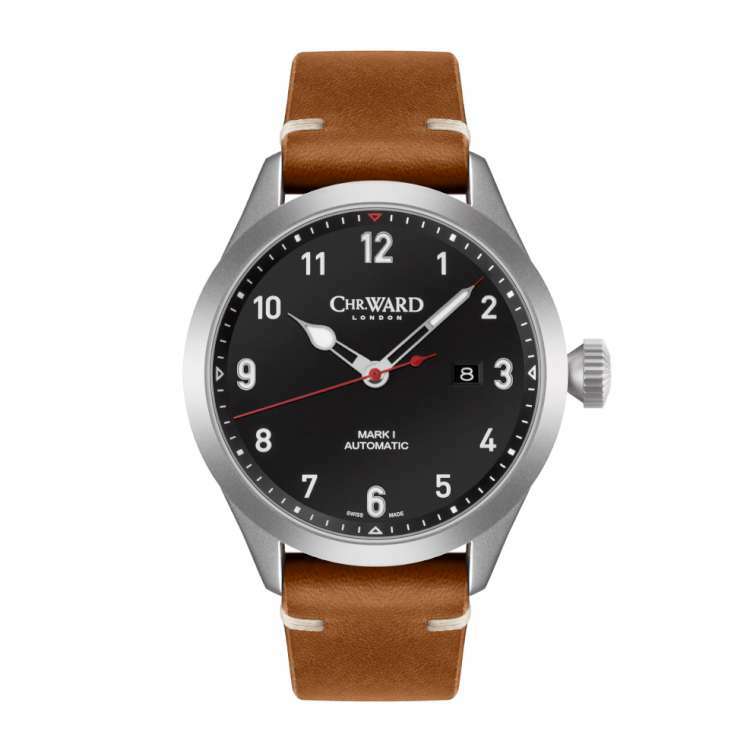 This watch is available in 41, 44 or 47 mm sizes, 14 mm thick, in steel or black PVD case options, and with a variety of straps including a riveted leather strap that is closest to the B-Uhr type. It has a date window at 3 o’clock, and a display caseback revealing the NH35A automatic movement made by Seiko. 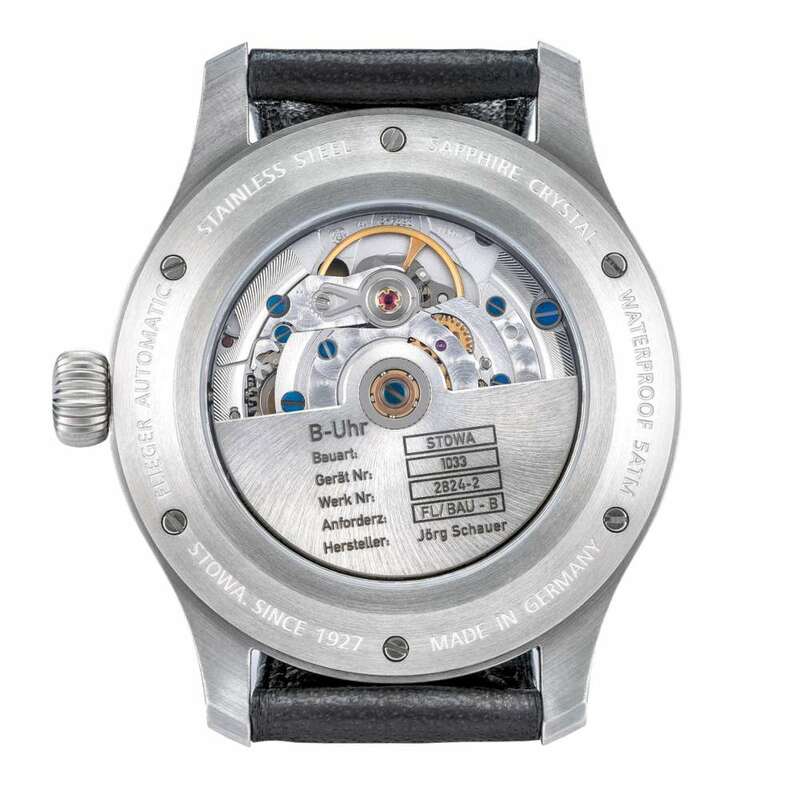 It runs at 21,600 vibrations per hour (3 Hertz), with 41 hours power reserve, and has the stop-second function. It can be manually wound if necessary, and its mainspring is built so that it cannot be damaged by overwinding. Movement finish is basic, purely industrial. The dial indications and hands are coated with white SuperLuminova that glows blueish in the dark. Water resistance is 10 bar, 100 metres, in part by virtue of the screw-in crown. The real significance of this watch is that it is currently available from Air Blue at the holiday sale price of $149 instead of $399. More at the Air Blue website. 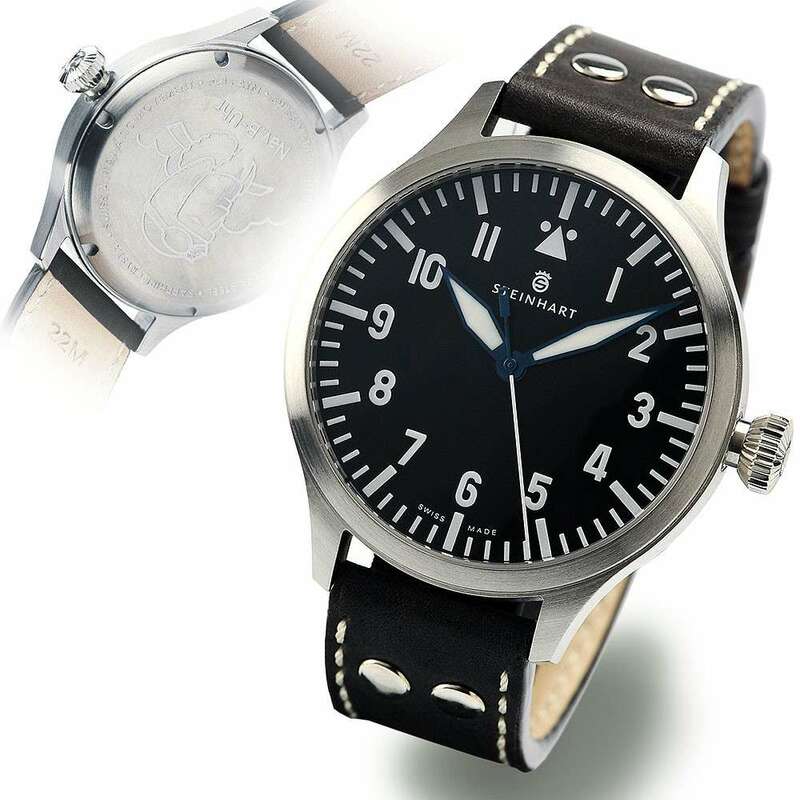 This pilot’s watch by Steinhart has a 44 mm brushed stainless steel case (the watch is also available in a 47 mm version), 14.2 mm thick, solid caseback, black dial, and numerals and hour markings with generous coatings of luminescent paint. The hands are blued, adding a subtle touch of colour. The central second hand has the stop-second feature. The crown is in conical shape with a short cylindrical neck that was one of the typical design patterns for this component. Water resistance is 3 Atm/30 metres. The strap is in leather, with the double rivets on either side of the case that were a typical feature of B-Uhr watches. 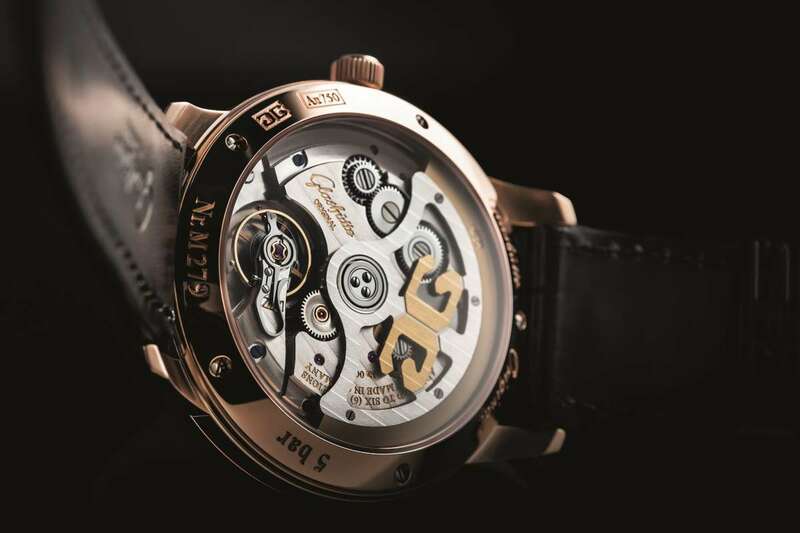 The solid caseback is engraved with a Biggles-like pilot caricature. The movement is the Swiss-made ETA 2824-2 in its “Elaboré” version (the second in a scale of four quality levels, Standard, Elaboré, Top and Chronomètre). It is self-winding, with a power reserve of 38-40 hours. The Steinhart “Nav B-Uhr 44 Automatic A-Muster” is article number 107-0336, and its price is €400 inclusive of VAT, shipping costs to be added. Available from the brand’s website. Read more here. One of the features of the B-Uhr watches was their large case size for good visibility, and Archimede do the same with their 45 mm Pilot 45 Automatic. It has a stainless steel case with brushed finish, and a display caseback revealing the Sellita SW200-1 automatic movement. Water resistance is 5 bar, 50 metres. The leather strap is riveted, in black or light or dark leather colours. A touch of colour is provided by the blue hands, though the colour can be seen only on the edges due to the SuperLuminova coating. 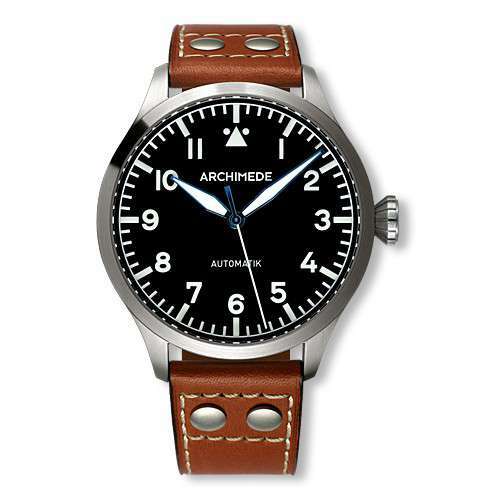 Reference UA7949-A1.2, price €680 inclusive of tax, available from the Archimede website. This 44 mm watch is in steel, 44 mm diameter. 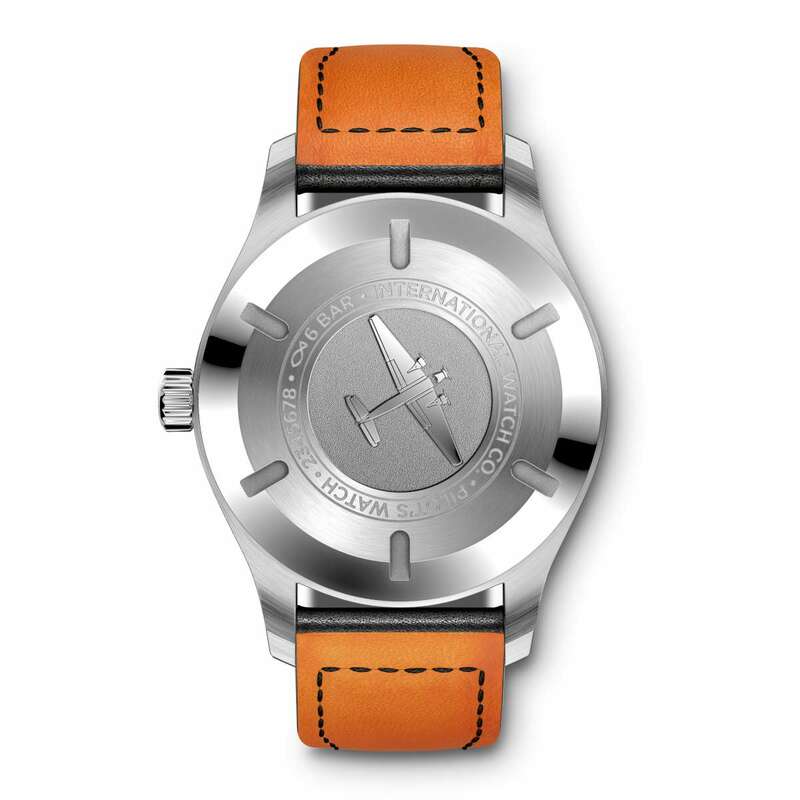 Its design is based on the Smith Mark II A clock on the Spitfire’s instrument panel, and the caseback is moulded with a depiction of the Farnborough wind tunnels. The crown is in the classic conical shape, and provides the stop second function. 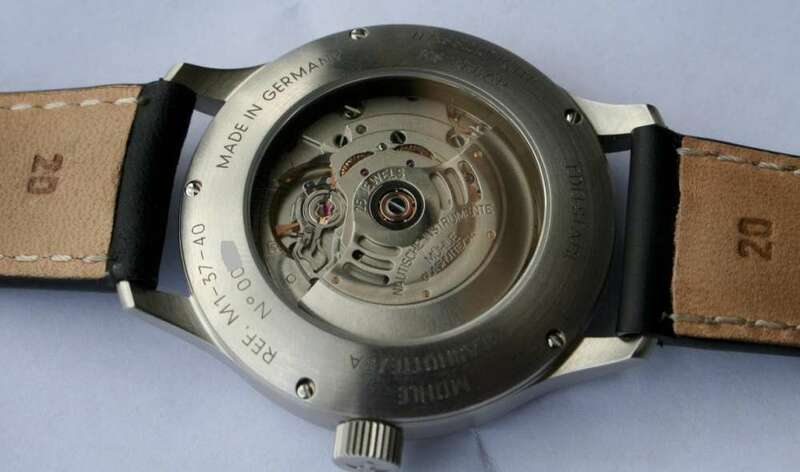 The movement is the ETA 2824-2 or Sellita SW200-1, both of which run at 28,800 vibrations per hour (4 Hertz). Different strap options are available. Reference C8-44-A-SKC-B, price €740, available from the Christopher Ward website. 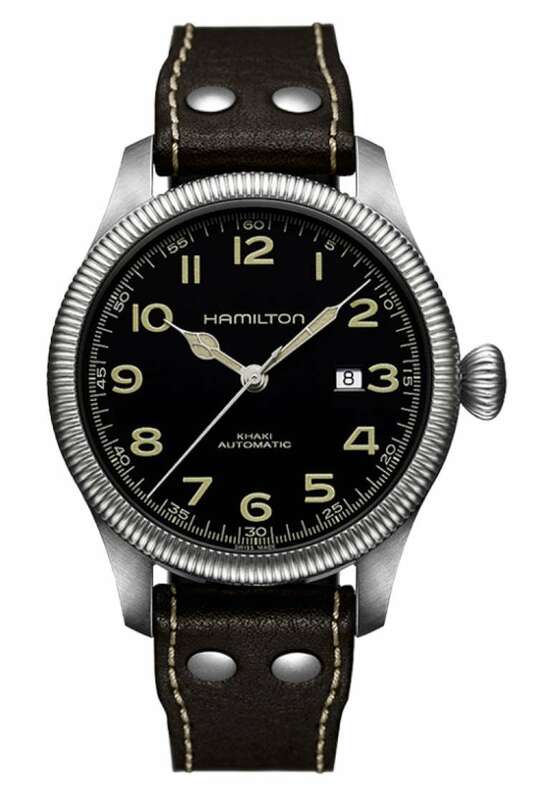 This watch by Hamilton has a lovely vintage appearance provided by the fluted bezel and crown, riveted strap, and dial with classically-style numerals and hands. It is available in 42 or 45 mm versions. The steel case has a display caseback revealing the ETA 2824-2 movement, self-winding, 38 hours power reserve. Water resistance 10 bar, 100 metres. Reference H60515533, price €750. Read more on the Hamilton website. The watch by Mühle-Glashütte has a steel case, 40 mm in diameter, 10 thick, water resistance 10 bar/100 metres, with a display caseback. While it has some of the features of a Type A pilot’s watch, its slim case and slender hands give it extra style and wearability. The movement is the Sellita SW 200-1 automatic, personalized with woodpecker neck regulation, the Mühle-Glashütte oscillating weight, and hand-finished metal surfaces. It has the stop second function, and a 38-hour power reserve. The watch costs €950 with brown or black buffalo leather strap. Read more on the Mühle-Glashütte website. 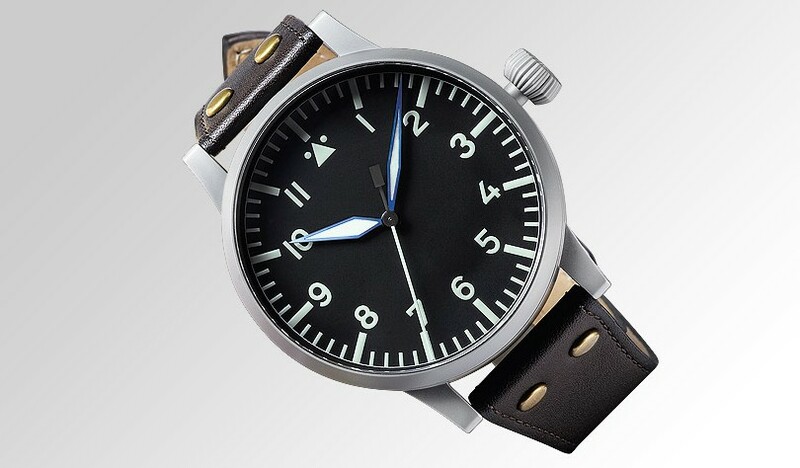 Stowa has been making pilot’s watches since the late 1930s, and they are based in Engelsbrand, near Pforzheim in Germany. 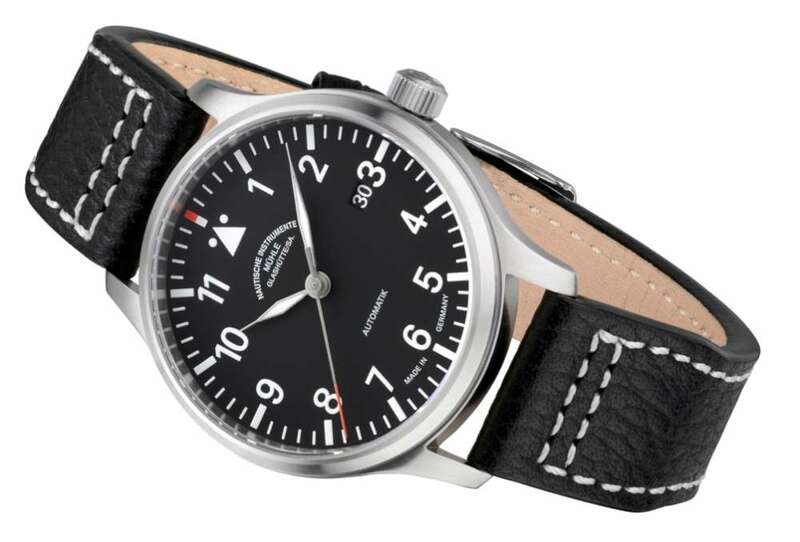 The Stowa Flieger Klassik 40 has a diameter of 40 mm, thickness 10.2 millimetres, and a black or brown strap with two rivets on each side. Water resistance is 5 bar, 50 metres. The dial is perfect simplicity, with no logo, and just hour, minute and seconds indications. The movement is the ETA 2824-2 automatic in the “Top” version with blued screws, 38-42 hours power reserve, visible through the sapphire caseback. 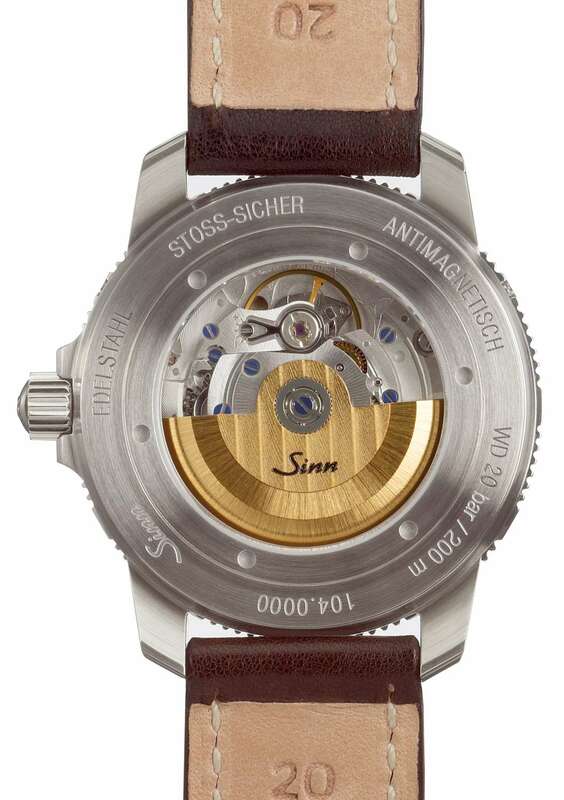 The watch costs €930, you can buy online at http://www.stowa.de/, delivery in about 2 weeks. Tourby, based in Westfalen, Germany, gives customers the possibility of choosing from various options so that you can personalize your watch. The Pilot Automatic is the classic pilot’s watch, 42 mm in diameter, 12.7 mm thick, with solid caseback engraved with a map of Europe. The piece is not branded. The dial with Tritec SuperLuminova luminous paint provides excellent visibility in the dark. Hands are in blued steel, and the watch has a new design for the second hand. The movement is the ETA 2824-2 automatic, with stop-seconds and a power reserve of 38-42 hours. The watch complies with standards that were once part of B-Uhr specifications, such as water resistance to 200 metres depth, anti-magnetic and shock resistance. The watch is fitted with a leather strap, and you can choose from their selection of straps. Price €1,000. Take a look at http://www.tourbywatches.com/; they don’t have a shopping cart, you just order by email. 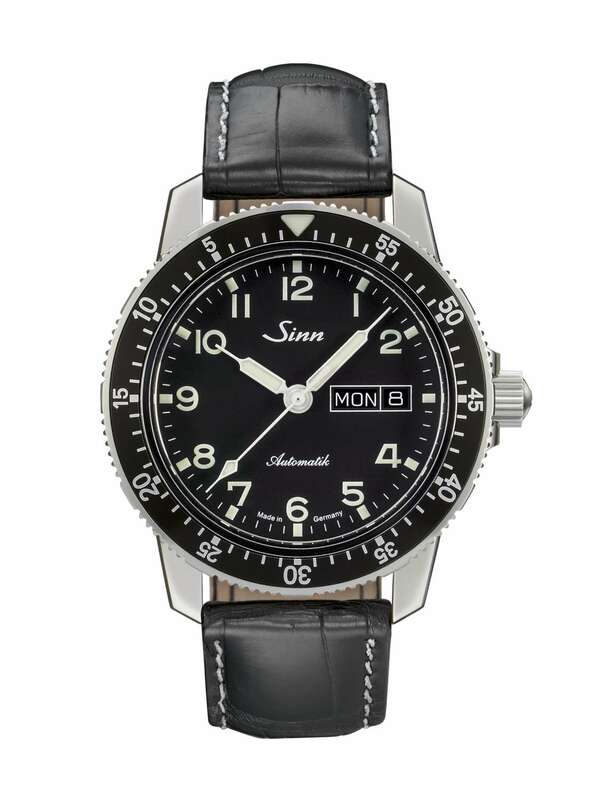 The Sinn 104 St Sa A is in the classic pilot’s format, with a few extras: the pilot’s bezel, which can be used for countdowns for up to an hour using the minute hand, and the day and date window. The watch is relatively small at 41 mm diameter, 11.5 mm thickness, so it’s ideal for everyday use. 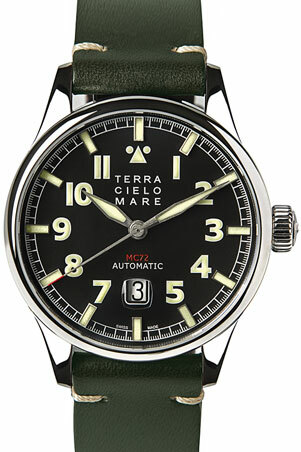 The hour markings, numbers, all three hands and the triangle on the bezel are coated in luminescent colour. The case is in polished stainless steel, water-resistant to 200 metres. 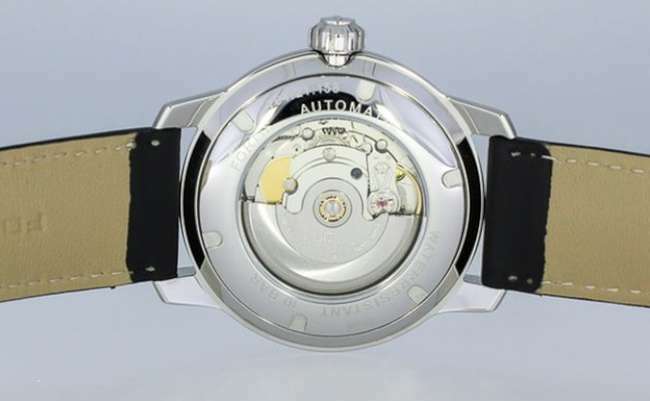 Inside is a Sellita SW 220-1 movement, which runs at 28,800 vph (4 Hertz) and has a power reserve of 38 hours. It has the stop-second function for precise time-setting. The Sinn 104 St Sa A (item number 104.011) can be purchased on the Sinn website, price €1,050 with leather strap (you can select from a range of strap colours), €1,310 with stainless steel bracelet. Read more here. 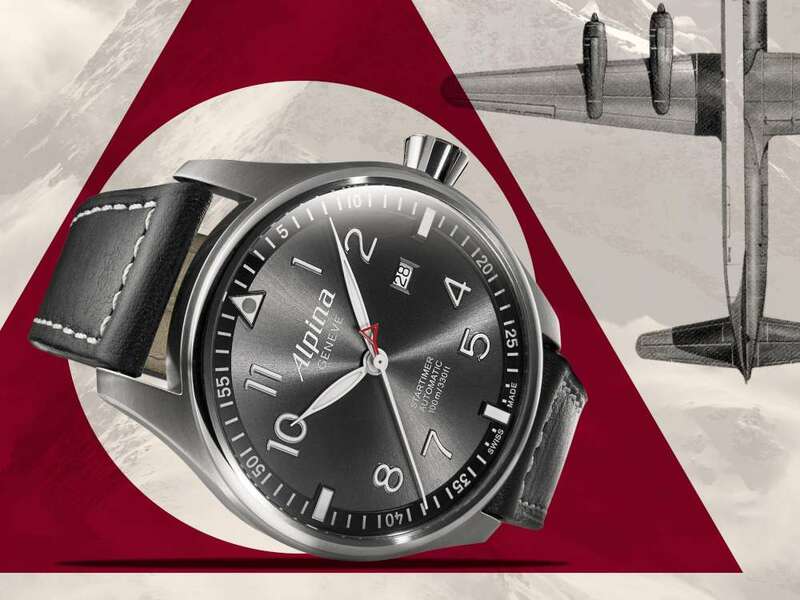 The Alpina Sunstar shows some variations with respect to the classic B-Uhr type A, with a grey sunburst dial, a prominent date window, applied numerals, and a second hand with a red counterweight. The crown is screw-in, and the watch has a transparent caseback. The watch is 44 mm in diameter and 10.2 mm thick, water resistance 10 bar/100 metres. The movement is automatic, 38 hours power reserve, calibre AL-525 which is basically the ETA 2824-2 with an Alpina oscillating weight. The watch is reference AL-525GB4S6, and it costs 1.290 Swiss francs. Read more on the Alpina website. 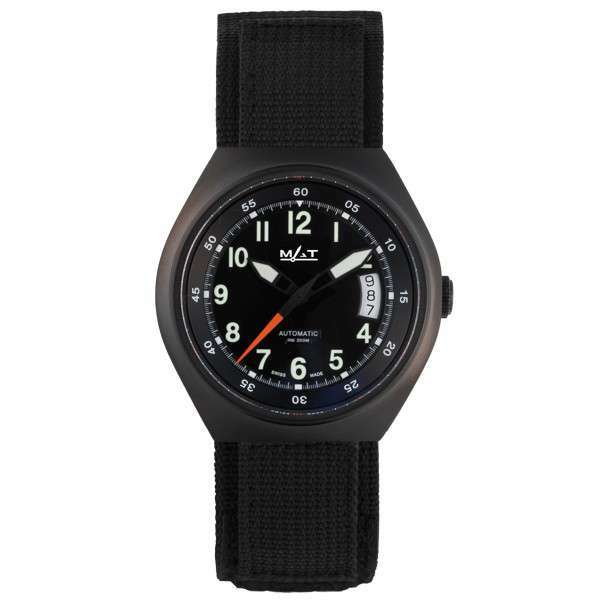 This watch by French company MAT is unusual, as far as aviation watches go, in that each watch is tested in water for a depth rating of 200 metres. Hands and dial markings are coated with SuperLuminova. The movement is the self-winding ETA 2824. 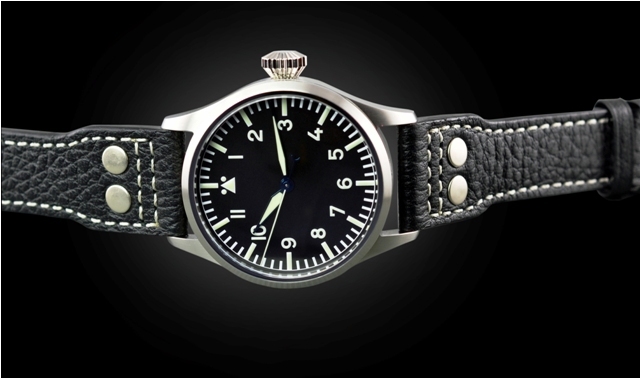 The watch is supplied with 3 interchangeable straps, in leather, canvas, and a metal bracelet. The case is 42 mm in diameter with a black PVD coating. The Ag2 Vintage by MAT costs €1,250, available from their website. The Fortis Flieger Professional has a 41mm case with areas of polished and satin-finish steel, a crown with a new logo, anti-reflective watchglass and sapphire caseback. The dial has a degree of three-dimensionality, with a slightly depressed ring with the seconds scale. Numerals, hour markers and hands are coated with green SuperLuminova. The case has a water resistance of 10 bar, 100 metres. The strap is available in leather with buckle or folding clasp, or alligator or ostrich. A steel bracelet is also available. 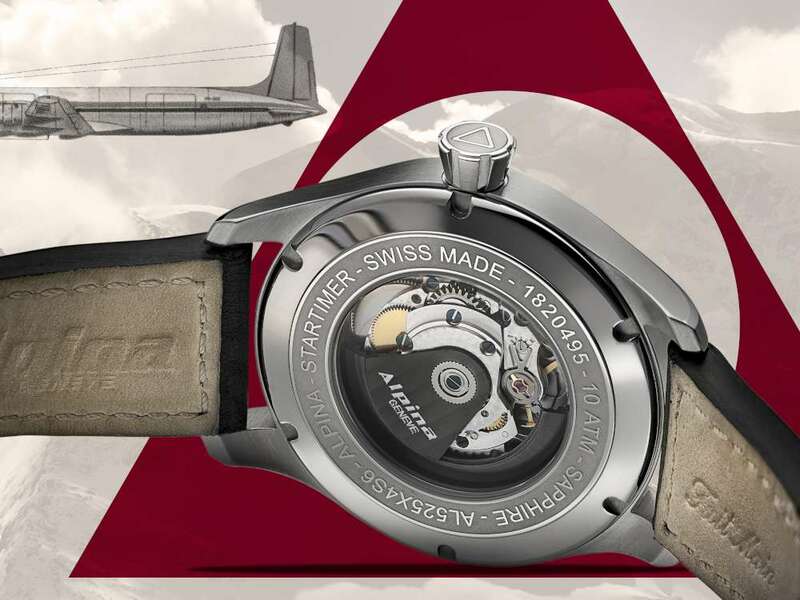 The watch is powered by the Swiss-made ETA 2836-2N, providing 38 hours power reserve. 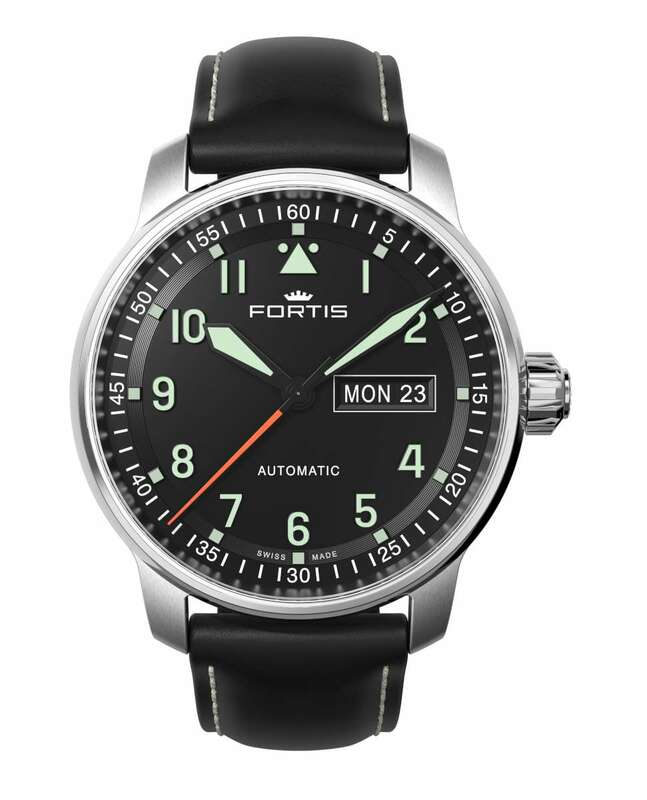 The Fortis Flieger Professional reference 704.21.11 starts at €1,350. Read more here, or visit the Fortis website. 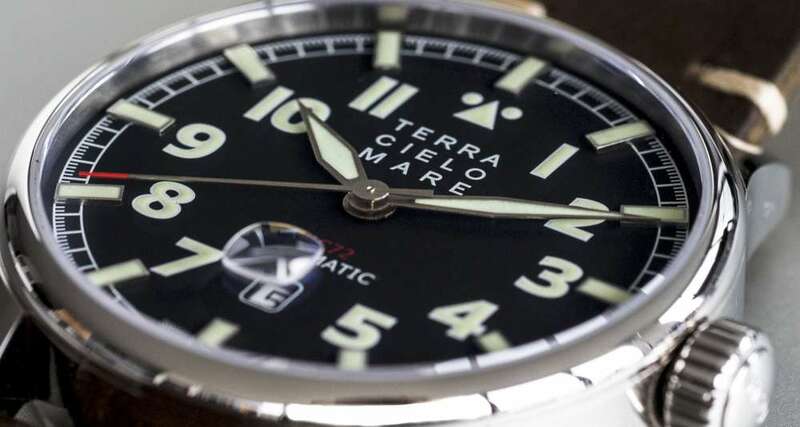 This watch by Italian brand Terra Cielo Mare was inspired by the Schneider Cup aircraft and in particular the MC-72 seaplane that reached a speed of 709 km/h on 23 October 1934, setting a world speed record for a seaplane, unbeaten still today. The watch has a 44mm stainless steel case with a screwed caseback, water resistance 5 bar/50 metres. Inside is the ETA 2824 automatic movement providing 38-40 hours power reserve. 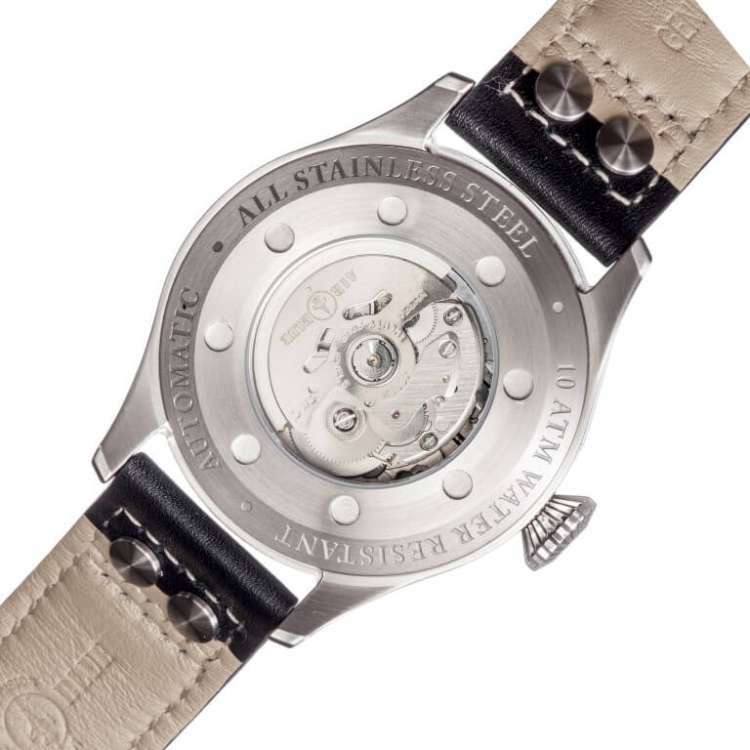 The caseback is decorated with a relief picture of the MC-72 seaplane. The dial is distinctive for its large date window with magnifying lens in the watchglass. 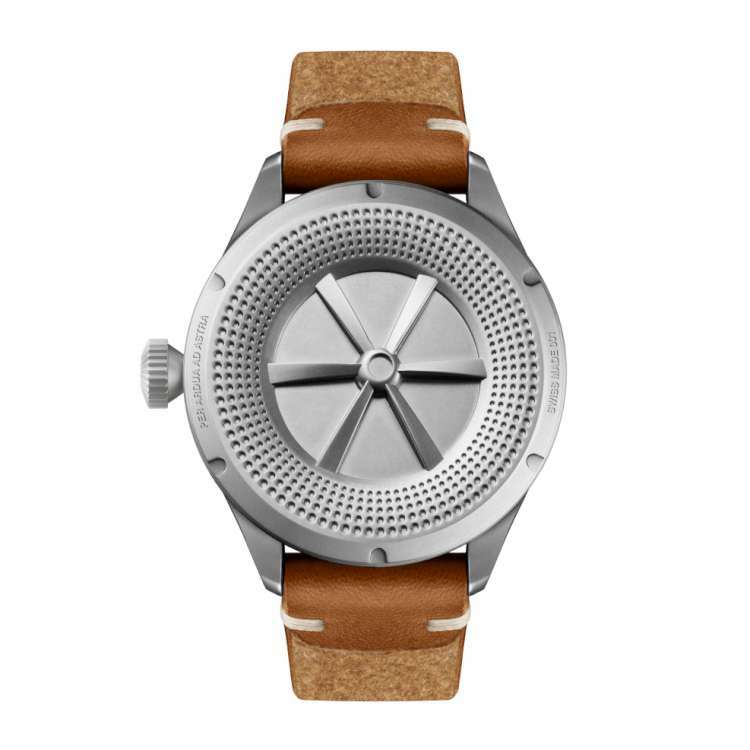 The watch comes with an Italian-made rolled leather strap. 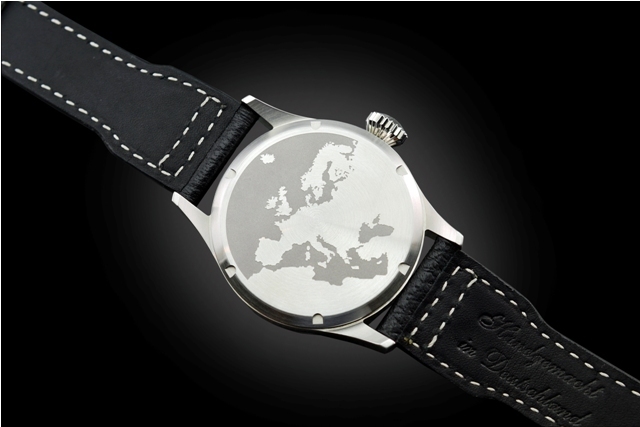 The watch, price approximately €1,450, is made in a numbered series. Further information from the Terra Cielo Mare website. This watch by RGM, a company based in Lancaster, Pennsylvania, has a slim, elegant case at 38.5 mm, 9.9 mm thick, with a narrow bezel that enhances the effect of size. It is available in steel or titanium, and the purchaser can specify finish, polished, brushed, or a combination of the two. In addition, it is also possible to order the watch without a date window, and with a traditional onion-shaped crown. The dial is on two levels, and the hour and minute hands are in an unusual shape. The movement is the ETA 2892-A2, personalized by RGM, running at 28,800 vibrations per hour, 4 Hertz, visible through the display caseback. Water resistance 5 bar, 50 metres. Price $2,950, about €2,800, for the stainless steel version. Read more on the RGM website. You can’t get more authentic than this. 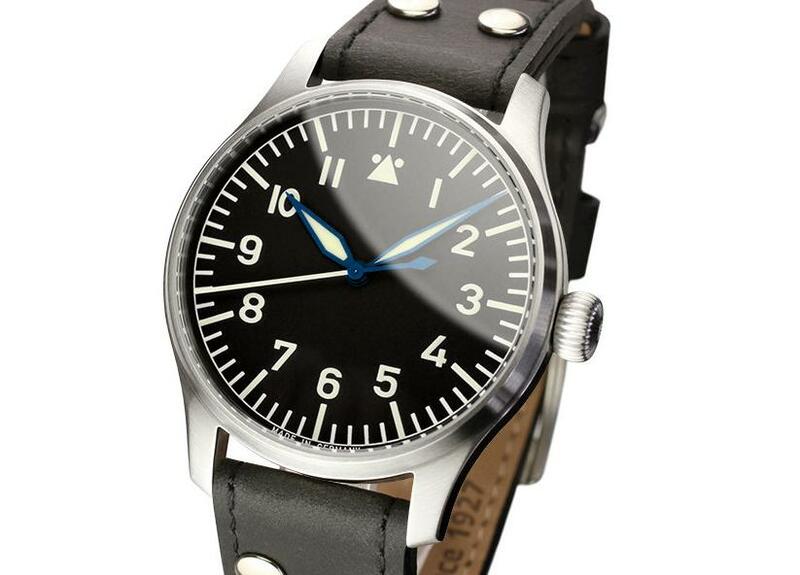 Laco made pilot’s watches during the Second World War, and in 2015 it presented the Fliegeruhr Typ A Replica, reference 861929. The dial is exactly the same as the original Model A observation watch, with the classic triangular motif flanked by two dots at 12 o’clock, the unbranded black dial, and its large size, 55 mm in diameter. It’s certainly a watch that won’t go unnoticed. The strap is in brown calf, riveted to form a closed loop as in the original. The movement is the Laco 97, based on the ETA 6497.1. It is hand-wound and has the stop-second feature, and it includes anti-magnetic protection. Water-resistant to 50 m depth. The watch costs €2,998 inclusive of VAT. It is supplied in a presentation box reproducing the original Laco 1940s shipping boxes, each with the watch’s serial number printed on the end. Read more here, or visit the Laco website. The Bremont Solo 43 has case and bezel in polished steel, specially hardened to improve scratch resistance and durability, with a case middle in DLC-treated steel. The lugs curve elegantly, and the strap seems to have curved spring bars that improve the visual union between strap and case. The caseback is in steel with a sapphire glass display window. This reveals the movement, which is the Bremont BE-36AE, Swiss-made and based on the ETA 2836-2 in its top chronometer-grade version. 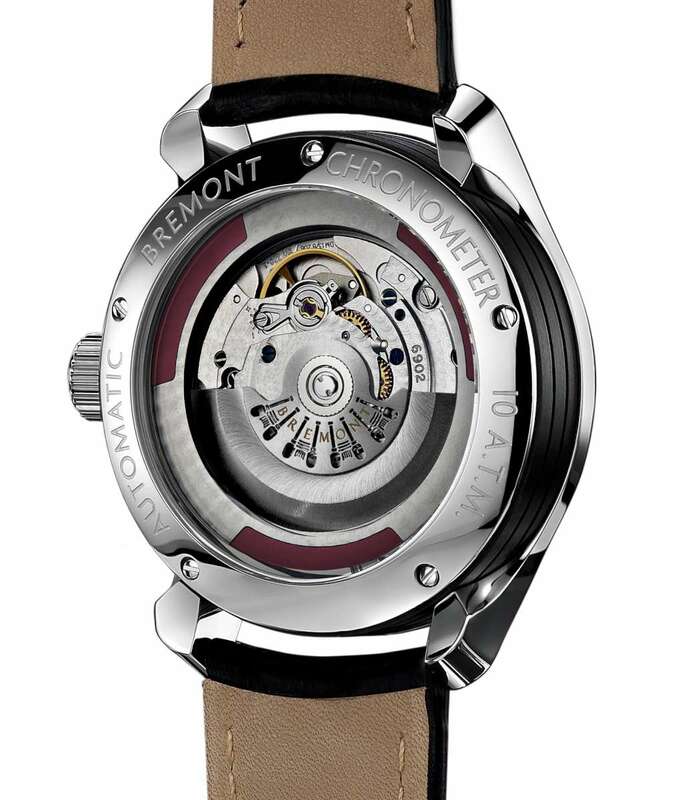 The movement is relatively small (25.6 mm diameter) when compared to the 43 mm case, and so Bremont have cleverly added a circular frame with red sections and machined finish to match the movement itself. This avoids the “porthole” effect of a sapphire window that would be excessively small with respect to the case. 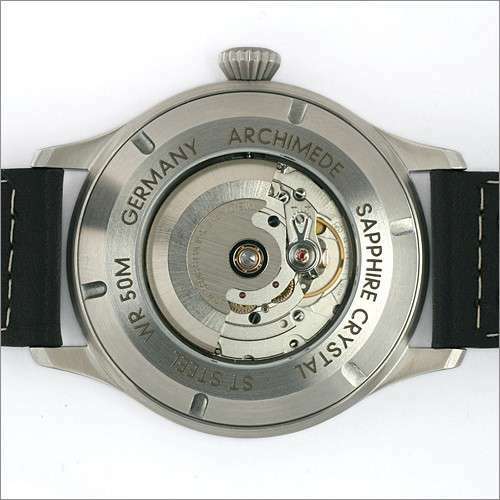 The movement is self-winding, with date window, and stop-second function. Its power reserve is 38 hours. The watch has chronometer certification (COSC, precision -4/+6 seconds per day or better), and it is water-resistant to 100 metres. It has a calfskin leather strap with pin buckle. 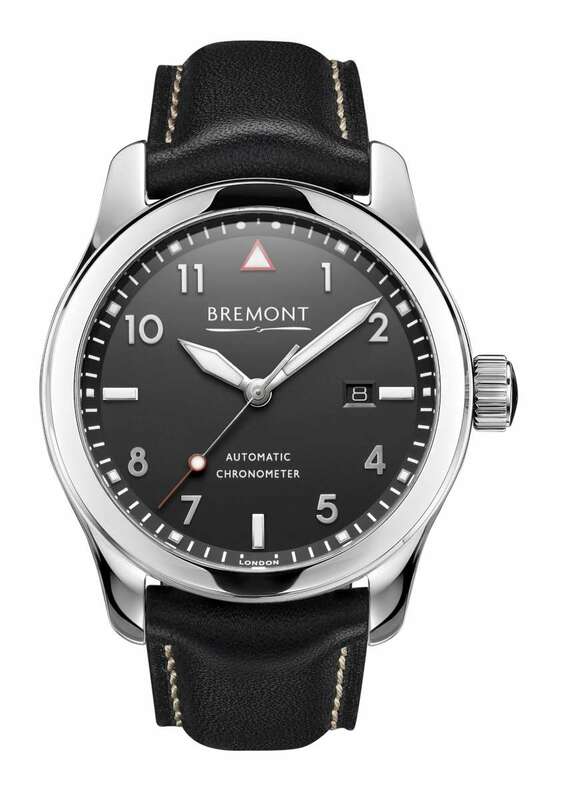 The watch, reference Bremont Solo/PB, costs £2,895, about €3,400. Read more here, or visit the Bremont website. 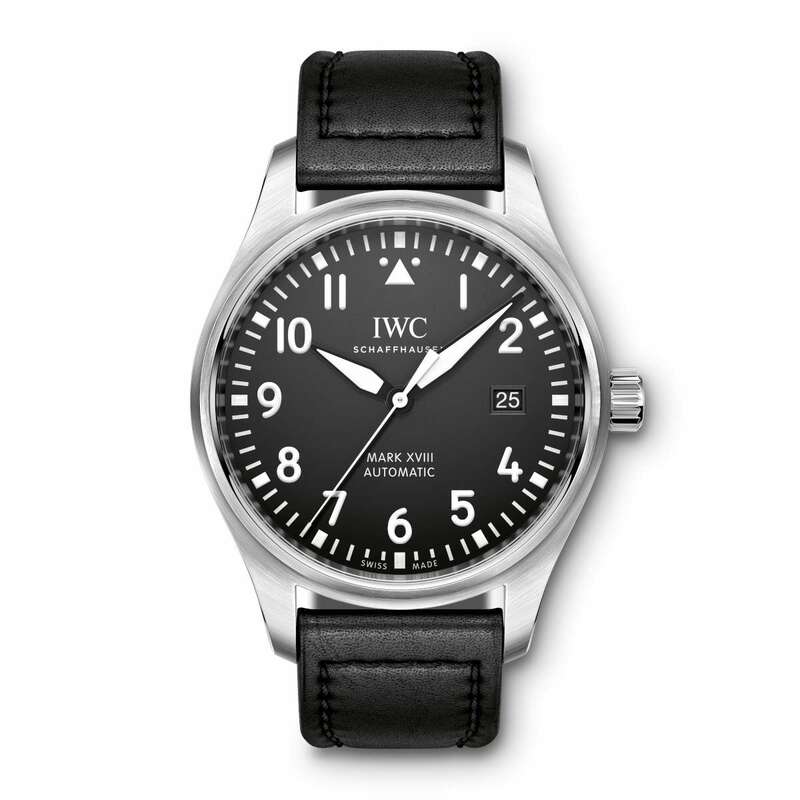 The IWC Schaffhausen Pilot’s Watch Mark XVIII is the model closest to a 1940s pilot’s watch in the brand’s 2016 collection. It has a calfskin strap made by Santoni, with the signature orange lining. The 40mm case (11 mm in thickness) makes it a size suitable for most wrists. The major difference with respect to the previous Mark XVII is the date window, that no longer features the triple date display that was based on altimeter design. This provides more space on the dial. The watch is powered by the IWC calibre 30110 movement, which is not in-house, and is based on the self-winding ETA 2892-A2, running at 28,800 vibrations per hour (4 Hertz) with 42 hours power reserve. It is protected against magnetic fields by a soft iron inner case; the watch glass is secured against drops in air pressure, water resistance is 6 bar, 60 metres. The watch is reference IW327001, price €4,600 inclusive of tax. Read more here, or visit the IWC website. One of the versions of the Glashütte Original Senator Excellence is a black-dial piece with steel case, very similar to a pilot’s watch. The steel case is 40 mm in diameter and about 10 mm thick. The display caseback reveals the new Calibre 36 movement, with Glashütte Original oscillating weight, superbly finished plates and wheels, and traditional blued screws. Calibre 36 is technically superb, with a power reserve of 100 hours with a single mainspring barrel, and increased precision over the duration of the power reserve. 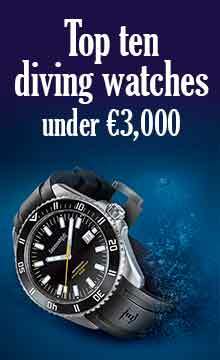 The watch costs €8,500 including VAT. 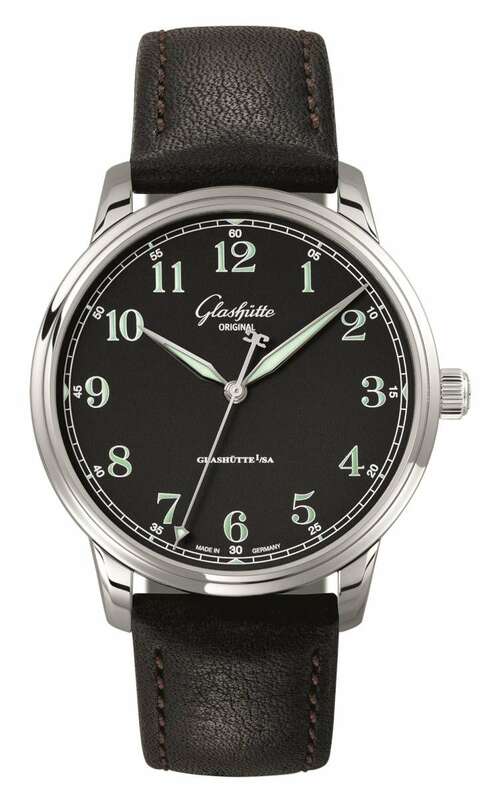 Read more here, or visit the Glashütte Original website.